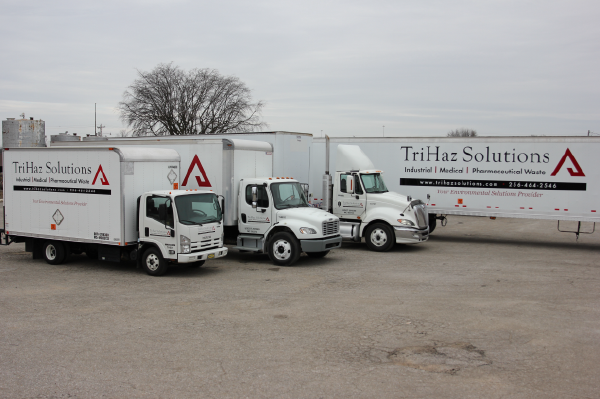 Huntsville, February 26, 2018 — TriHaz Solutions, LLC (TriHaz) and Specialty Waste Corp (SWC) today announced the merger of the two companies, creating an industry-leading provider of medical and hazardous waste services. SWC will merge its business into TriHaz’s operations to create a larger footprint for compliant and efficient medical waste disposal in northern and central Alabama. Huntsville, March 1, 2018 — TriHaz Solutions, LLC (TriHaz) and BMD of TA, Inc. (BMD) today announced the merger of the two companies, creating an industry-leading provider of medical and hazardous waste services. BMD will merge its business into TriHaz's operations to create a larger footprint for compliant and efficient medical waste disposal in northern Alabama and southern Tennessee.